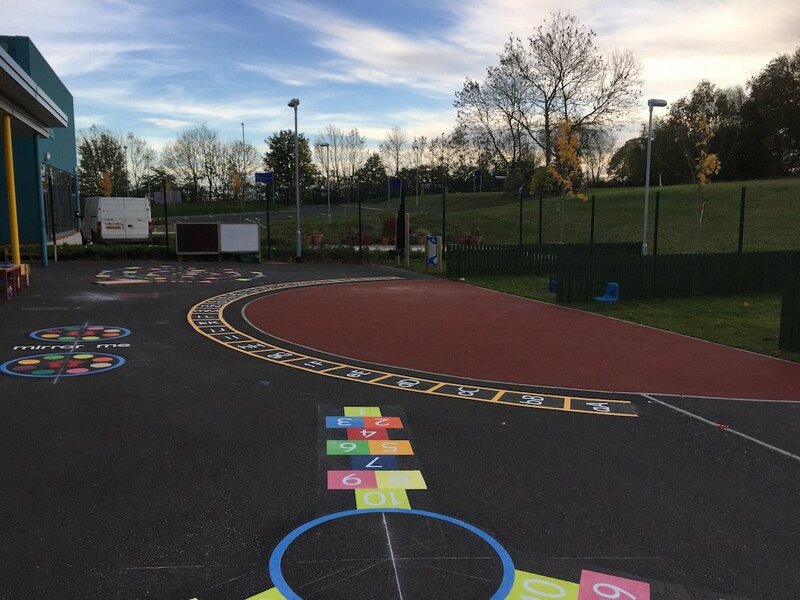 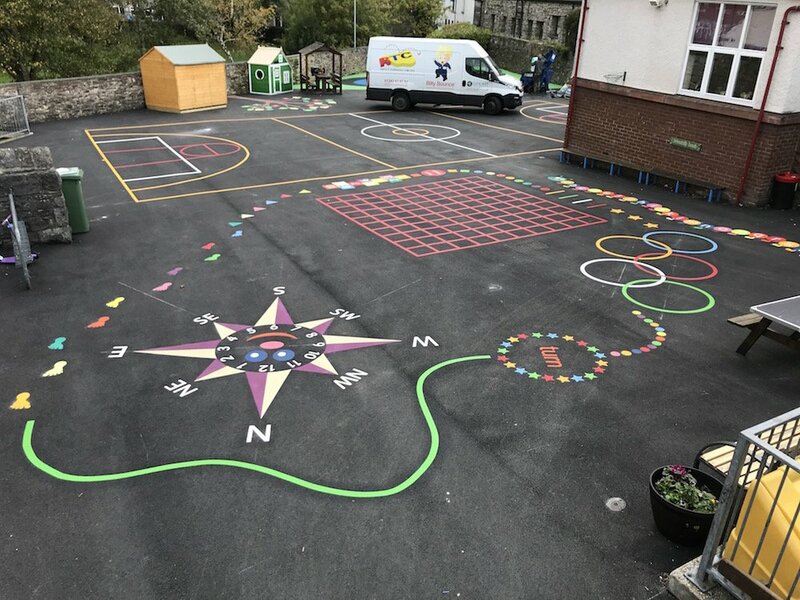 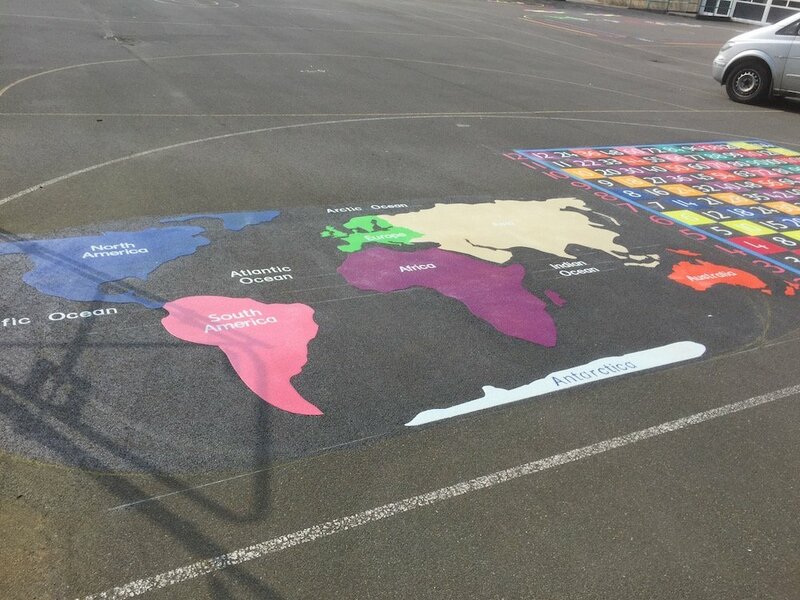 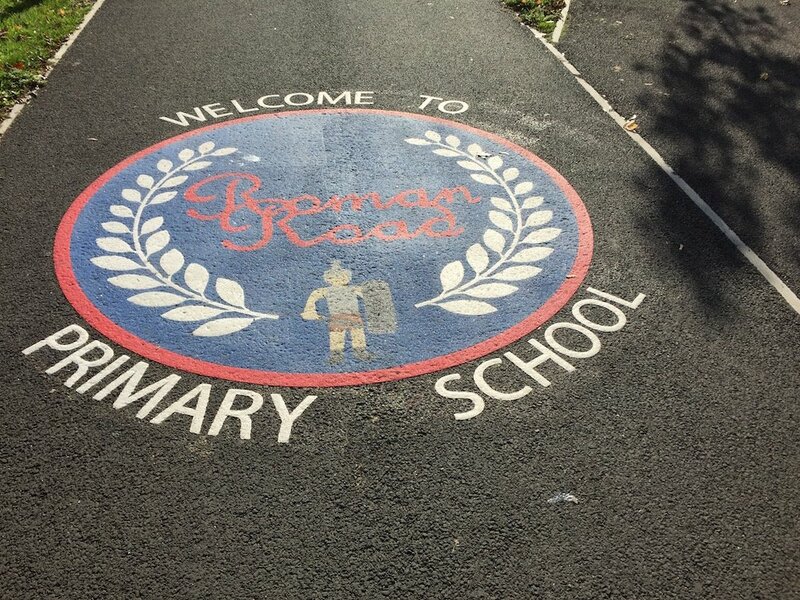 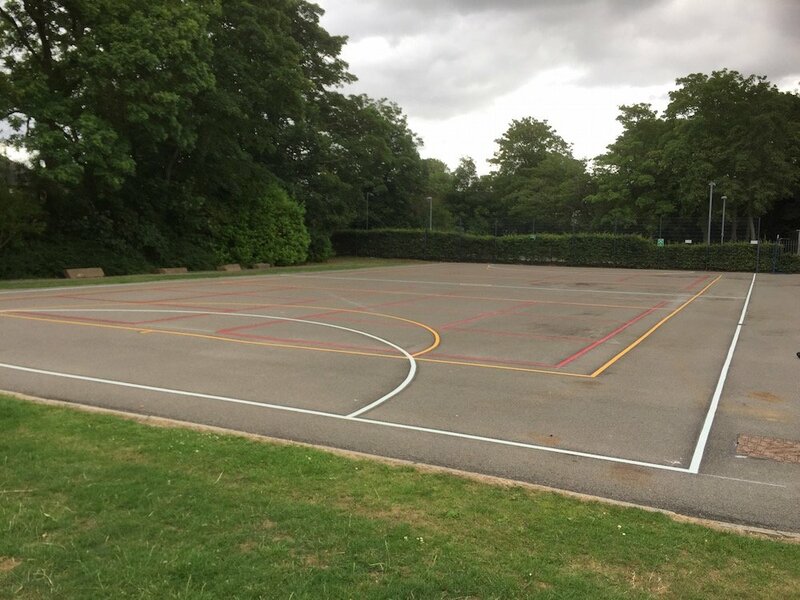 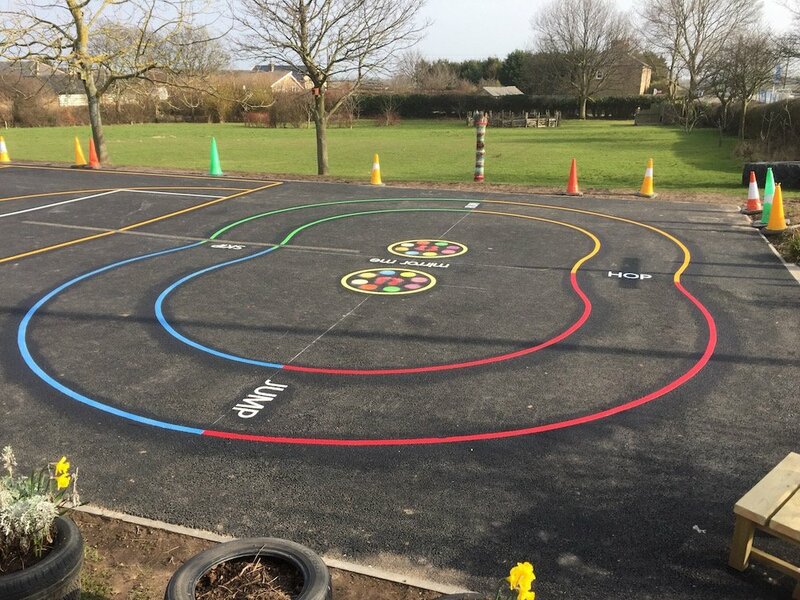 Our installation team drove down the road to Roman Road Primary School near our office in Gateshead to install a range of bright new playground markings. 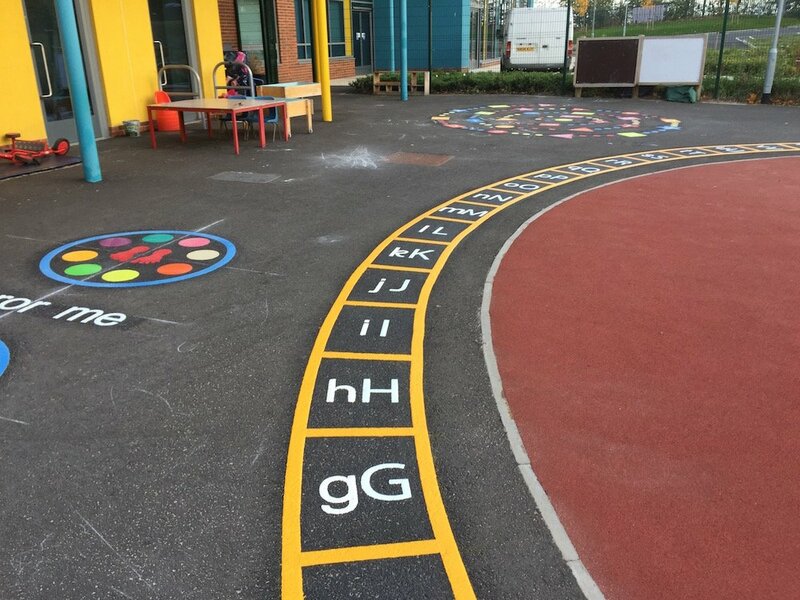 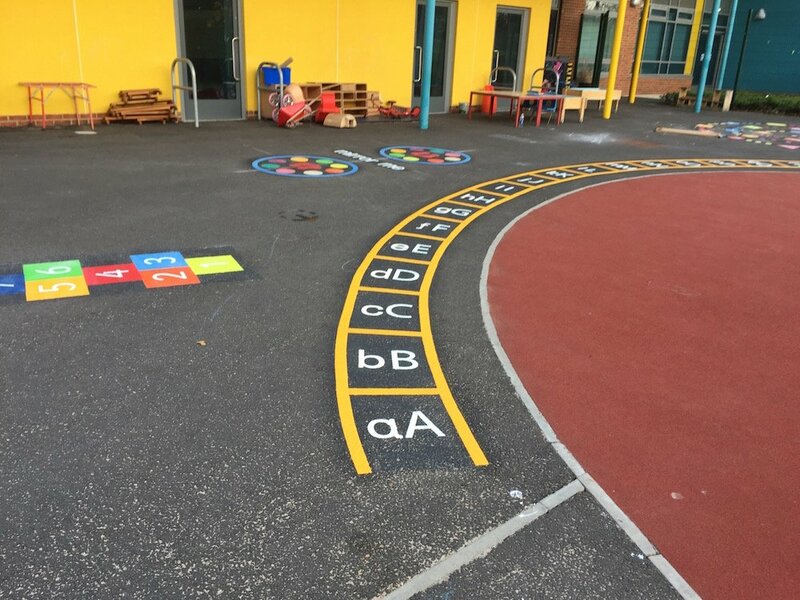 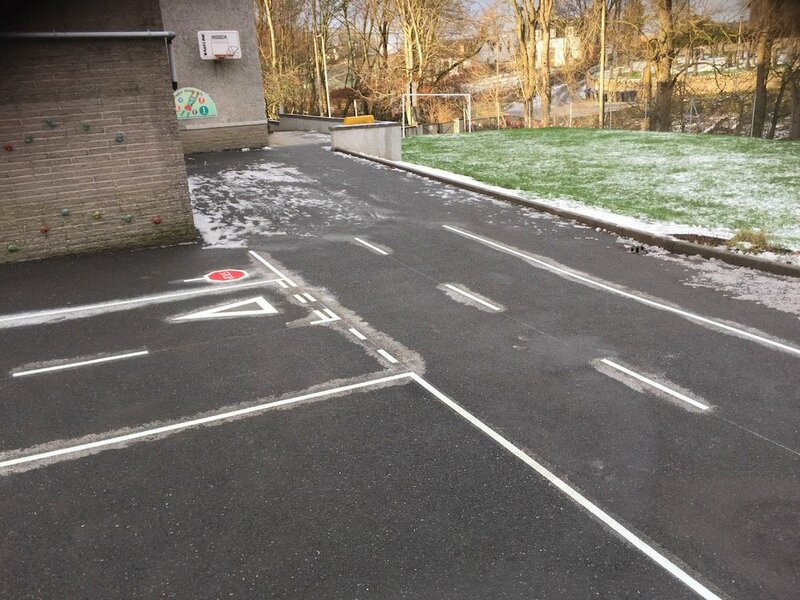 These markings consisted of an A-Z Number Ladder, a Mirror me a 3 Way Hopscotch and a bright new personalised school logo. 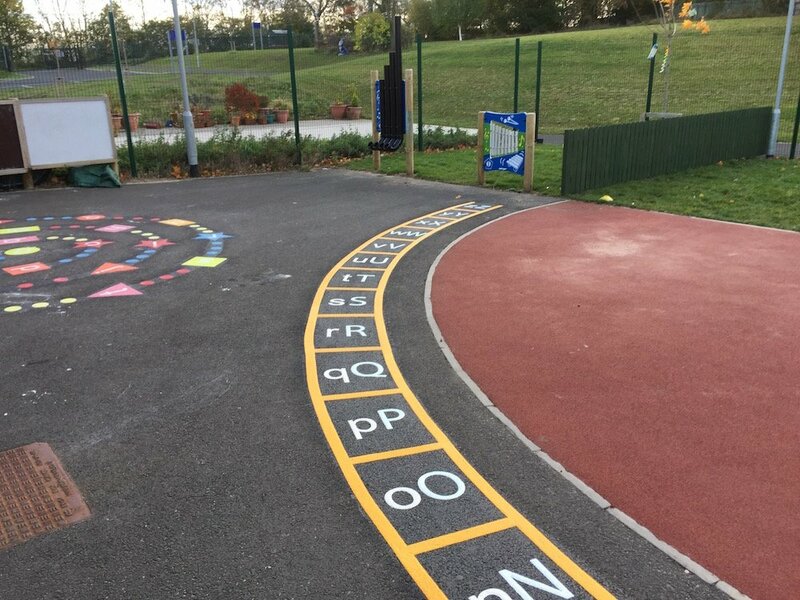 Firstly the team installed this A-Z Number Ladder with the other games surrounding it. 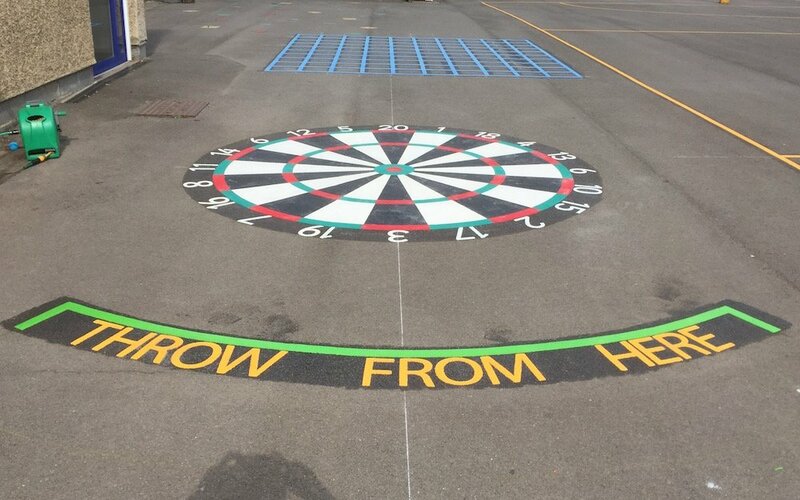 Lastly the team installed this personalised school logo.